Often times, the school setting provides an extremely challenging environment for a child with autism spectrum disorder (ASD) or related disabilities. With so many distractions and other children, the educational progress can be limited. 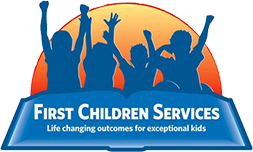 First Children Services contracts with public and private schools in New Jersey and Pennsylvania to manage the treatment and education of students with ASD and/or other behavioral challenges. We provide ABA Services in the school and/or home according to the needs of each individual student. By outsourcing home and/or school based ABA services to First Children Services, schools often save precious resources. Our highly trained staff will provide specific behavioral interventions as needed. Our home and school based ABA services are delivered by trained behavior technicians and supervised Board Certified Behavior Analysts (BCBAs). We employ the use of web-based data collection for tracking progress and ultimately monitoring results.